"This study highlights that adding aspirin to current treatment regimens may potentially improve the well-being of patients suffering from a burdensome chronic disease while reducing health care utilization," said lead researcher Dr. Ashraf Fawzy. He is a pulmonary and critical care fellow at Johns Hopkins University in Baltimore. However, Fawzy said more research is needed before broadly recommending that patients start taking aspirin as part of their COPD treatment. 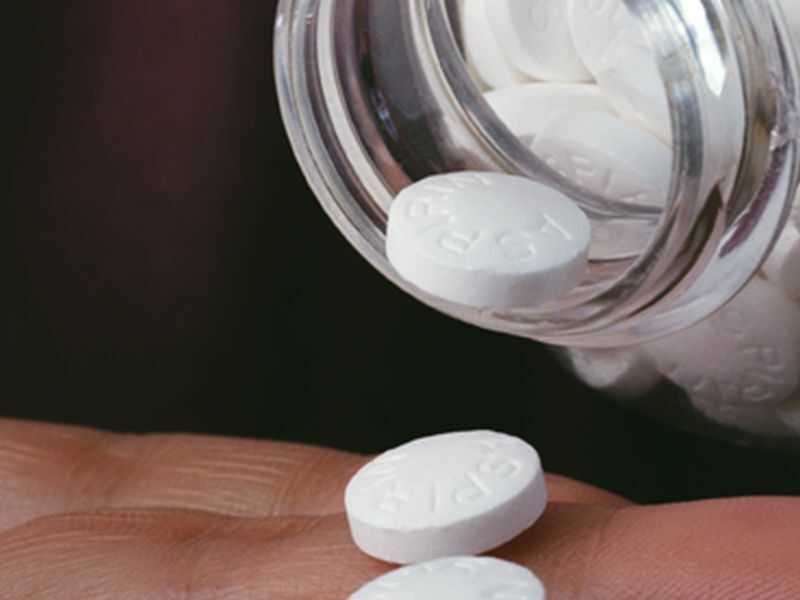 The researchers found the aspirin users had fewer flare-ups over three years. Patients also reported better quality of life and less shortness of breath, compared with patients who did not use aspirin, according to the study. COPD includes bronchitis and emphysema, two chronic lung diseases. Smoking is its main cause, but long-term environmental exposure to toxic dust or chemicals is another culprit. Millions of Americans suffer from COPD, and it is the third leading cause of disease-related death in the nation, according to the American Lung Association. There is treatment but no cure. Medications usually include a bronchodilator that opens the airways, making it easier to breathe, and an anti-inflammatory. In the most severe cases, patients need a constant supply of oxygen. Aspirin has already shown a benefit in preventing heart attacks and strokes in patients with cardiovascular disease, but its role in COPD has been unclear. However, because this study can't actually prove that aspirin caused the reduction in flare-ups, experts aren't ready to make a general recommendation about aspirin use for COPD. "It's really too early to say," said Dr. Alan Mensch, senior vice president for medical affairs at Plainview and Syosset Hospitals in Long Island, N.Y.
"COPD is a chronic condition where we really have limited options to treat patients," said Mensch, who wasn't involved in the new research. Although new treatments would be welcome, he said it's hard to tell from this study if aspirin really reduced flare-ups. That's because it was what's called an observational study. Researchers compared patients who self-reported they did or didn't take aspirin, but weren't randomly assigned to one group or the other. Fawzy added that "a randomized controlled trial of aspirin use in patients with COPD is warranted to rigorously assess whether aspirin is beneficial in this patient population." One problem in comparing COPD patients is that many suffer from other conditions. Most COPD patients, for example, also have cardiovascular disease, Mensch pointed out. However, he noted that other studies have found aspirin may extend the life of COPD patients and slow the progression of emphysema. "It may help," Mensch said. So how exactly might aspirin work its magic? Mensch noted aspirin is an anti-inflammatory, which might explain the reduction in COPD flare-ups. The report appears March 4 in the journal Chest.